Scientists are using technology to expand global food production and ease its environmental impact, but advances are being challenged by claims that lack scientific evidence and raise public distrust and concern, a leading agricultural scientist told an American Association for the Advancement of Science audience. Alison Van Eenennaam traced the advent of campaigns against agricultural innovations related to areas from cattle and chicken production systems to plant biotechnology. The impact such efforts are having on agricultural advances was the focus of the ninth annual AAAS Charles Valentine Riley Memorial Lecture on 5 June at the AAAS headquarters in Washington, D.C. Many farmers could benefit from agritourism and the added value it brings, but developing successful agritourism operations can be tricky. Experts at the Agricultural Sustainability Institute (ASI) at UC Davis are helping farmers and others in the agricultural community understand the regulations, permits, insurance, marketing and other considerations needed to succeed. “Agritourism operations are more successful when they're part of a supportive community of tourism professionals, county regulators, agriculture regulations and others,” says Gail Feenstra, ASI's food, and society coordinator. Feenstra and her team recently received a $73,000 grant from Western Sustainable Agriculture Research and Education, a U.S. Department of Agriculture program, to develop training, resources and peer support for farmers and ranchers considering agritourism. Feenstra is working with Penny Leff, ASI's statewide agritourism coordinator and team project manager. …UC Marin master gardeners is a group of more than 300 trained volunteers who work as non-paid staff members of the University of California Cooperative Extension. There are master gardener programs in 50 counties across California; our Marin group is one of the largest and most active. This scientific study is a coyote postmortem on an unprecedented scale—it has so far documented the contents of 104 stomachs and intends to examine 300 by the end of the year. The team, led by Niamh Quinn, UC Cooperative Extension's human-wildlife interactions advisor, is already generating a wealth of data to better understand how these omnivorous canids sample everything from pocket gophers to hiking boots while managing to survive in a land of 20 million people. Kaan Kurtural started working on a fully mechanized vineyard to help growers save on labor costs, but then he noticed it also produced grapes with superior quality. He demonstrated the 40-acre experimental vineyard during a recent field day at the UC-Davis Oakville Station north of Napa. About 200 winegrape growers, vineyard consultants, and other industry representatives attended. As most fumigants in California are being phased out, growers are having to find other ways to control weeds in young vineyards. And while weeding by hand has been done, increased costs and a shrinking labor force have made this task impractical, says John Roncoroni, University of California Cooperative Extension Weed Science Farm Advisor in Napa County. Two enterprising farm advisors with the University of California's cooperative extension have begun a podcast that will focus on tree crops and other produce grown in the Central Valley. Called “Growing the Valley,” the podcast will have a new episode every two weeks, with each episode focused on news growers can use, such as managing specific pests, irrigation techniques, alerts about what to watch out for, and what tasks to take care of at particular times of the year. “I've never seen so much focused attention in Sacramento on the issue,” said Keith Gilless, a professor of forest economics and dean of the College of Natural Resources at UC Berkeley. “Last year, 2017, got everybody's attention,” said Gilless, chair of the California State Board of Forestry and Fire Protection. “Last year was just terrible. Everybody involved is doing their best to be as prepared as we can. Any area might burn now, including those with much higher structure densities than they did 20 or 50 years ago. 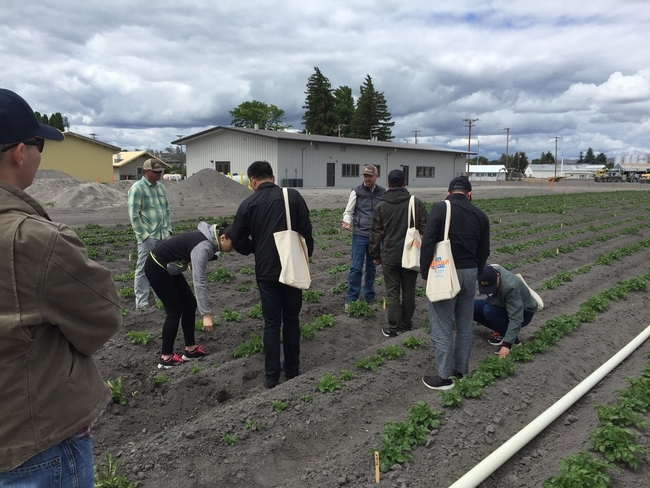 Chinese agricultural scientists explore a potato research field at UC ANR's Intermountain Research and Extension Center in Tulelake. UC Agriculture and Natural Resources vice president Glenda Humiston recently welcomed a delegation of Chinese agricultural scientists to UC ANR's Intermountain Research and Extension Center in Tulelake, reported Danielle Jester in the Siskiyou Daily News. On a recent morning at the UC Davis Oakville Experimental Station, extension specialist Dr. Kaan Kurtural walked along the edge of an especially tall block of Cabernet Sauvignon. Planted in 2016, the block hosts 1,340 vines and produces roughly 15 to 18 pounds of fruit per vine. “So it'll be yielding quite nice,” Kurtural said as he walked down the 62-inch tall rows. Far more notable than the vineyard's fruit, however, is how it gets farmed. ...Based on a statewide survey out of the Department of Pathology at University of California, Davis, canker diseases are the primary cause of tree death in almond orchards, and Ceratocystis canker is one of the most prevailing canker diseases found in California. This canker disease is aggressive, but it doesn't have to mean disaster. “If you know what to look for, the disease is manageable,” says Florent Trouillas, UC Cooperative Extension Specialist, Department of Plant Pathology, University of California, Davis. Kocher, based in South Lake Tahoe, focuses on the Central Sierra, where stands of ponderosa pines were hit hard by beetle attacks. …The highest risk of fire is when trees still have their needles – the so-called “red and dead” phase, Kocher said. Green needles turn red, and those dried-out needles are a particularly flashy fuel, like tinder in a campfire. Once the needles fall off, the risk drops a bit. 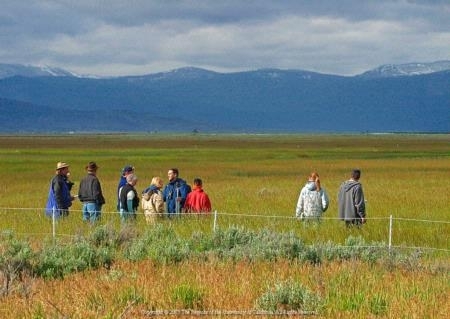 The University of California Agriculture and Natural Resources Intermountain Research and Extension Center in Tulelake hosted a group of scientists from Chinese universities on Sunday; the scientists are on a tour of agriculture in northern California through June 22. University of California Vice President of Agriculture and Natural Resources Glenda Humiston explained the purpose of the tour, noting, “The Chinese face many of the same issues that we do here in the U.S. The Chinese universities want to improve rural economic development to lift up the quality of life for people in rural communities. June in San Luis Obispo County is a wonderful time to start preserving our summer bounty of fruits and vegetables. The UCCE Master Food Preservers will teach the basic principles of food preservation and canning in its Introduction to Canning class on Saturday. … But as significant, and plentiful, as the new fire-protection measures are, they merely nip at the edge of an underlying issue: that fire is a constant in California, and as long as people choose to live in and around the state's wildlands, experts say, the threat remains. "I would not be surprised if we have another big fire," said Bill Stewart, forestry specialist at the University of California, Berkeley. "I just don't think we're where we need to be." … “We really haven't put together the pieces of a resilient fire strategy in local areas,” Stewart said. Agriculture across the country is going high-tech, and California is leading the way as the tree nut and other industries are looking for ways to save water. Agriculture across the country is going high-tech, as the ag and food sectors invested $10.1 billion in digital technologies in 2017, according to a University of California study. That's up from $3.2 billion in 2016, reports the UC's Giannini Foundation for Agricultural Economics. In California, which was the leading state last year with $2.2 billion spent to adopt new technologies in ag and food production, UC Cooperative Extension researchers are researching or developing lots of new, innovative ideas. And growers are putting them to work in their fields and orchards. Beth Grafton-Cardwell is the director of the Lindcove Research Extension Center in Tulare County and research entomologist based out of the University of California, Riverside. She recently told California Ag Today that there is work being done on installing a net structure to protect trees from Asian Citrus Psyllids, which spread the deadly Huanglongbing disease. Texas A&M researchers are installing net structures on the edge of groves to block psyllids from coming into an orchard. …While ag was slower than some other industries at adopting digital technologies, farm and food sector investments in these technologies zoomed to $10.1 billion nationwide last year, up from $3.2 billion in 2016, according to a new University of California report. California was the leading state for ag-tech investments with $2.2 billion in 2017, or 22 percent of the total, and ag and food producers in the Golden State spent $5.1 billion on new technologies between 2012 and 2017, reports the UC Giannini Foundation for Agricultural Economics. The University of California, Davis (UCD) hosted its annual Grape Day at the Oakville Station experimental vineyard in Napa Valley June 6 with talks and presentations by UC Cooperative Extension specialists, and presentations and equipment demos from vineyard industry suppliers. UCD viticulture extension specialist Dr. Kaan Kurtural showed a trial planted in 2016 with six different trellis systems designed for mechanical harvest in a 1-acre block at the experimental vineyard using Cabernet Sauvignon 08 on 3309 rootstock. The six trellis types include: a traditional vertical-shoot- positioned (VSP) trellis as a control; a single high-wire system designed for mechanized management; a high-quad system; a cane-pruned system with 12-inch cross arms for a sprawl-type canopy; and two versions of a relaxed VSP, one with a T-top post for a wider canopy. The Siskiyou County Cattlemen, Siskiyou County Farm Bureau and University of California, Cooperative Extension will sponsor a Water Measurement and Reporting Course in order to comply with Senate Bill 88. Dozens of industry professionals took part in the annual Kern County Potato Variety Field Day where attendees got an opportunity to view new potato varieties and see the progress of ongoing growing trials. Despite differing opinions, Alan Wilcox, of Wilcox Agri-Products and Jeff Mitchell, no-till advocate at University of California–Davis, sat down during World Ag Expo in Tulare, Calif., to discuss the challenges and the opportunities for conservation tillage practices to take hold in California's Central Valley. May was wildfire awareness month and the community participated in the wildfire safety fair at Lake Oroville Visitor Center on Saturday, May 19. At this fantastic event community members were able to get information about how to sign up for emergency notifications, access the evacuation preparedness plan, get wildfire recovery information and get tips for protecting homes from wildfire. Kate Wilkin, UC Cooperative Extension, provided two presentations on prescribed fire and ways to protect homes from wildfire. Local fire-safe councils were there to answer the question: What does a fire-safe council do? Entomologists want to put a bug in your ear: Insects are necessary for the survival of mankind. Brown marmorated stink bug (BMSB) is certainly not new to California growers, but in the wake of some more troubling finds, it is now officially a pest of almonds. Almonds are now listed as a preferred host on the Stop BMSB website, which was created by a team of researchers from all over the country dedicated to finding a way to stop the pest from damaging a wide range of crops. One of those researchers is Jhalendra Rijal, University of California Cooperative Extension Area IPM Advisor for San Joaquin, Stanislaus, and Merced counties, who said the first such damage was just two years ago, when they were found in peaches. The actual first finding in the state was three years before that, in Sacramento, but despite being a very large find, they never appeared to spread, adding to the mystery of BMSB movement. Nevada County residents wondering why there is smoke in the air coming from our neighbors to the west today may be seeing smoke from a live fire training held by the University of California Cooperative and Extension at a field station in Browns Valley, according to Cal Fire spokesperson Mary Eldridge. A new UC Cooperative Extension podcast that focuses on growing orchard crops in the San Joaquin and Sacramento valleys is now available free at http://growingthevalleypodcast.com, Apple iTunes and Google Play Music. The hosts are Phoebe Gordon, UCCE orchard systems advisor in Madera and Merced counties, and Luke Milliron, UCCE orchard systems advisor for Butte, Tehama and Glenn counties. The pair conduct research and extension programs that cover tree crops, with a focus on almonds, pistachios, walnuts, prunes, figs and cling peaches. The 2018 World Meat Congress concluded Friday with sessions focused on consumer trends and education, as well as an in-depth look at cutting-edge technologies reshaping meat production around the world. The 22nd World Meat Congress was held in Dallas May 31 and June 1. Hosted by the U.S. Meat Export Federation (USMEF) and the International Meat Secretariat (IMS), the event drew about 700 participants from more than 40 countries. …The panel featured Gary Rodrigue, blockchain food trust leader for the IBM Corporation; Dr. Martin Wiedmann, Gellert family professor in food safety at Cornell University; and Dr. Alison Van Eenennaam, cooperative extension specialist for animal genomics and biotechnology at the University of California-Davis. … Van Eenennaam, whose program at UC-Davis focuses on research and education around the use of animal genomics and biotechnology in livestock production systems, explained the value of gene editing. For example, research is underway to utilize gene editing to prevent such diseases as African swine fever in hogs and tuberculosis in cattle. “What better way to approach dealing with disease than through genetic improvement?” she noted. Physical dehorning of dairy cattle is a standard practice to protect both human dairy workers and other animals from injury. However, it is not only costly for producers, but also painful and stressful for the animals. As a result, dehorning is currently facing increased public scrutiny as an animal welfare issue. Despite these factors, 94 percent of U.S. dairy cattle producers report routine dehorning. The USDA-ARS raisin grape breeding program has long focused on the development of early ripening varieties. Early ripening allows drying to begin sooner, thus helping to avoid inclement weather and enable production of dry-on-vine (DOV) raisins. ‘Fiesta' and ‘Selma Pete' are examples of early ripening raisin grapes from the USDA that have helped change the way California raisins are made. Even though the typical San Joaquin Valley farm is focused exclusively on food production, local growers can profit from increasing interest in agritourism, reported Helen Tracey-Noren in the Fresno Bee. The concept was touted at a recent forum in Fresno where CDFA secretary Karen Ross and the CEO of Visit California, Caroline Beteta, spoke about the agritourism trend. "It's about, 'here's what farmers and ranchers are doing as your neighbors,' their environmental stewardship," said Ross. "It's about the pride of what we produce here, and it's about this wonderful lifestyle and supporting the economy at the same time." Penny Leff, the agritourism coordinator with the UC small farm program, also participated in the event. She said that from 2007 to 2012, agritourism has picked up in California. "Most families don't have anyone on the farm anymore to go visit," Leff said. "Farmers are interested in educating the public in what's going on, what goes into making the food. They really want to share with the public and make them understand." The story gave the example of Debbie and Jim Van Haun, a Sanger couple who opened Sequoia View Bed and Breakfast about 15 years ago, and fixed up an adjoining vineyard in 2003. They said that during the summer season, the area could use more businesses to handle all the tourists. 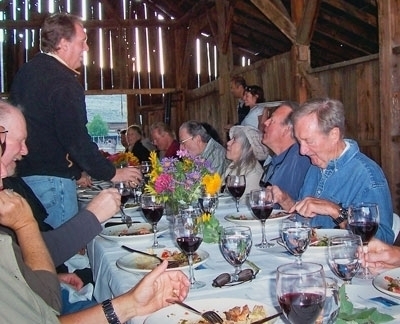 Offering dinner in a winery barn is a form of agritourism. Sunset Magazine ran an article this month encouraging readers to consider a farm stay for their next vacation. Beside a tranquil and scenic break from the office, farm visits help small-scale farmers sustain their operations, the article said. “Farmers are recognizing that people are willing to pay for this experience,” said Penny Leff, agritourism coordinator for the University of California small farm program, whose researchers have seen a boost in the number of farms catering to visitors in recent years. 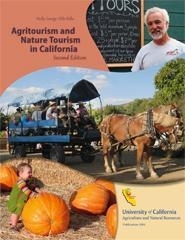 The small farm program maintains an online list of farms at http://calagtour.org that offer a wide range of agritourism opportunities to the public, from farm stays to U-pick operations, petting zoos, corn mazes, hay rides and farm stores. The Sunset article details what it calls the "Top 8 Agritourism Experiences," including cattle herding, chicken butchery, wine making and goat cheese making. Opening a ranch for hiking and birdwatching is another form of agritourism. 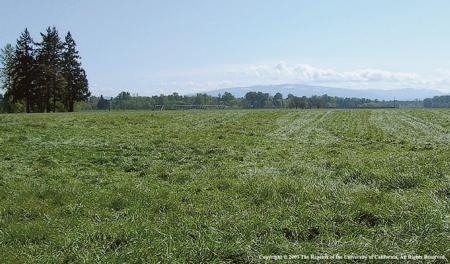 The new law is mainly geared toward irrigated pasture. Farmers and ranchers who use river or stream water must start submitting precise monthly records to the California Water Quality Control Board this year, said an article by Tim Hearden in Capital Press. Before the new law took effect, the water board asked landowners for estimates, said Allan Fulton, a University of California Cooperative Extension advisor who serves Colusa, Glenn and Shasta counties. Fulton is an irrigation and water resources expert. "There is a statewide effort at trying to more precisely understand and quantify how water is being used," he said. UC Cooperative Extension will host a workshop March 31 to discuss the new requirement. "I've had enough questions that I thought we ought to organize something," said Larry Forero, a UCCE director and advisor in Trinity County who specializes in livestock and natural resources. Agritourism, or activities and products offered on working farms to generate extra income from visitors, is a growing movement in California. A recent UC survey determined that about 2.4 million visitors came to California farms in 2008 to enjoy some facet of agritourism, which could include lodges and cabins, pumpkin patches, corn mazes, "U-pick" operations and special events such as weddings and conferences. "I think it really does help" farms, said UC agritourism coordinator Penny Leff. "It helps their name recognition if they're selling at the farmers' market or local stores. It helps in general for people to understand what farming's about, that food comes from farms." This week, the UC small farm program's final agritourism workshop in a series of five convenes in Monterey, winding up a whirlwind educational and promotional tour of California aimed at selling the farm - to visitors. All over California, farmers are inviting visitors to participate in farm camps, harvest festivals, horseback riding, hiking, hunting, bird-watching, tours and farm stand activities like tasting and picking, according to a Corning Observer story about the Feb. 23 agritourism workshop in Red Bluff. 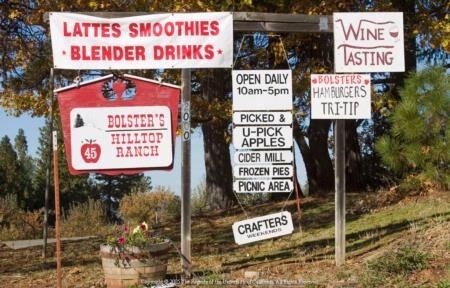 "Agritourism is a good way for farmers and ranchers to connect with the community and make money doing it. The main objective is to make the business work," the article quoted Penny Leff, UC agritourism coordinator. The workshop series is offering professional development for people involved in agritourism and building a stronger infrastructure for successful agritourism in the region. Participants are learning that agritourism could be profitable, but it is also challenging. "Don't quit your day job," agritourism entrepreneur Bob Nash said at the Red Bluff event. His small small pumpkin patch on the Old Oregon Trail has evolved to include wagon rides, a petting zoo, an antique tractor show and tractor pulls, corn maze, haunted house and a variety of activities and demonstrations. "It doesn't happen overnight and it takes a lot of marketing." Other speakers advised talking to city and county planners, doing research, assessing a competitive advantage, understanding the market, finding an angle, navigating the permit and approval process, collaborating with partners, developing a trusted product and marketing it to customers, wrote reporter Susan Meeker. The final agritourism workshop will be from 8:30 a.m. to 4:30 p.m. Thursday, March 3, at the Monterey County UC Cooperative Extension office. Find more information here. Diverse offerings will attract visitors to the farm.